Free screening of I’m not a feminist, but… followed by a talk with the filmmakers Florence Tissot and Sylvie Tissot, Sarah Schulman and Ann Snitow. The event is organized by the Institute of French Studies (NYU). Sarah Schulman is a writer, distinguished professor of English (College of Staten Island, CUNY), and active participant citizen writer. Ann Snitow is an associate professor of Literature and Gender Studies (The New School). 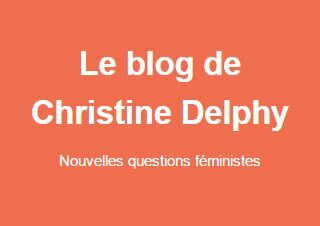 Appearing on French television with Simone de Beauvoir in 1985, Christine Delphy recalled a time when « I began every sentence with, ‘I’m not a feminist, but…’ « –reluctant to invoke a stigmatized term, yet nevertheless daring to express a desire for equality. This intimate documentary portrait traces Delphy’s growth into a major leader of French feminism: from childhood awareness of inequality and her work in the U.S. Civil Rights Movement, to her roles as a co-founder of the Women’s Liberation Movement (MLF) in France and as one of feminism’s leading theorists, the pioneer of material feminism. Through archival footage and interviews with sociologist and feminist activist Sylvie Tissot, JE NE SUIS PAS FEMINISTE, MAIS… documents Delphy’s role in past and present struggles for the rights of women. Projection – débat de Je ne suis pas féministe, mais… à La maison française de New-York University, en présence des réalisatrices et de Sarah Schulman et Ann Snitow. Événement organisé par l’Institute of French Studies (NYU).